TruPunch machines from TRUMPF offer you the flexibility to process a diverse range of parts. The many and varied applications stretch from simple to complex sheet metal parts with serial forming and excellent surface and edge quality. This means you can process a multitude of different parts entirely on one machine – and that fully automated if desired. 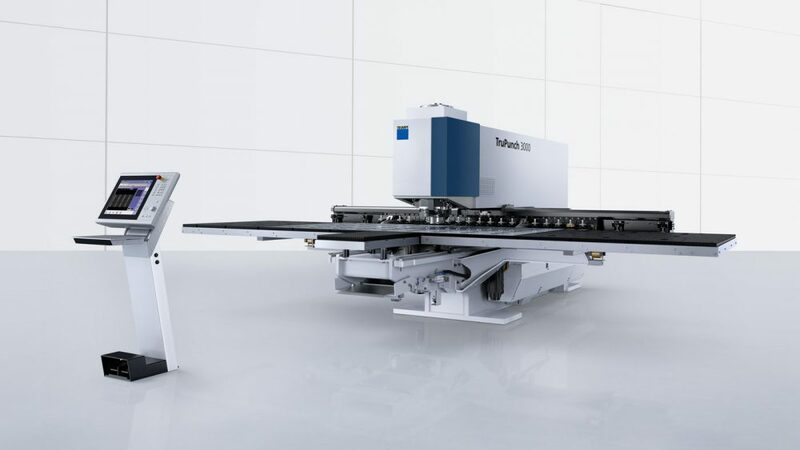 TRUMPF is the first manufacturer in the world to offer punching machines designed for skeleton-free processing. This innovation reduces material requirements by an average of 10%, increases process reliability and is extremely user-friendly. With its electric punching head and an average power consumption of 5.6 kW, the TruPunch 3000 is a very energy-efficient machine. results. For even more convenience, this compact machine can be equipped with an extensive range of automation options designed to make ideal use of the space available.